Richmond Hill has in recent years seen a huge population upsurge, being Canada's fastest-growing community in the 1990s. Richmond Hiill is an affluent town with a large number of people employed in areas of business, finance, industry and healthcare. 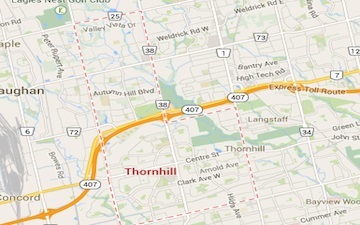 Thornhill is located on the northern border of the city of Toronto. Once a municipal village, Thornhill is now a community and postal designation geographically split into two municipalities along Yonge Street, the city of Vaughan to the west and the city of Markham to the east with a popluation of 106,000. Richmond Hill. This area consits predominantly of the section knows as Thornhill Woods. Patterson consists of two storey detached, 2 storey semi-detached and many 2-storey and 3-storey townhomes and townhouses along tree-lined streets.